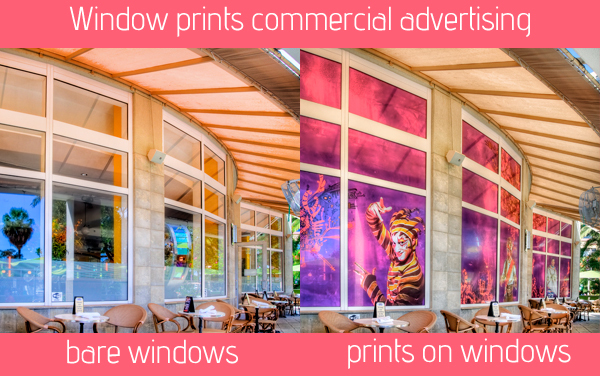 Last week I began a commercial photography project for Bayprint documenting the printing, installing and displaying of a particular type of print made especially for windows. When viewed from outside you see a colorful image of a Cirque du Soleil performer. From inside, it appears as just a light gray shade. 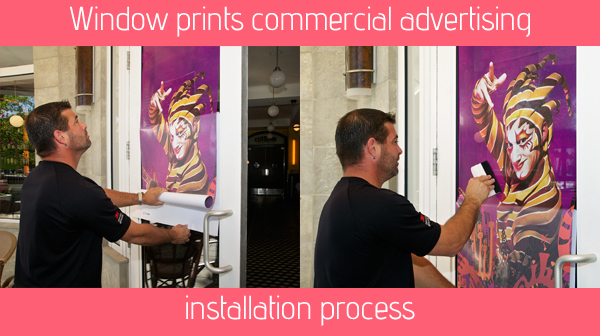 These prints were installed on Cassis, a downtown St. Petersburg restaurant right on Beach Drive, a heavy foot traffic location. As you can see, they add quite a bit of color to the restaurant's facade! These comparison before and after shots were taken a few days apart, but I went back at the same time of day to match the light and shadows as much as possible. I looked at the before photo on my iPhone 5 to help me line up the after shot in the same framing. On yet another day I went to Cassis to photograph the installation process. Since I am a person who has trouble putting a small sticker on a car window in any kind of alignment, I had a lot of respect for the guys doing the install working with such large prints. As most pros do, they made it look easy!